Allergens: Gluten, Milk, Mustard, Soy. 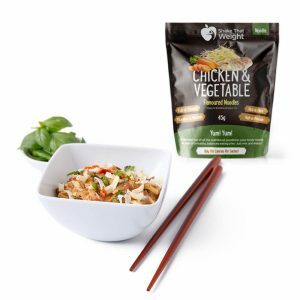 Manufactured on equipment that processes: Celery, Egg, Sulfites. 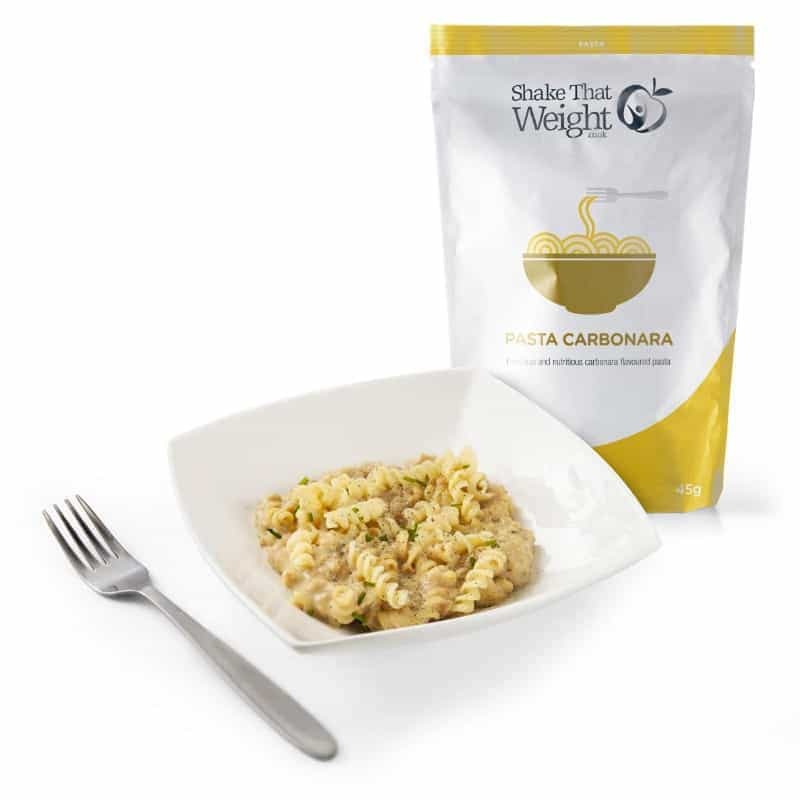 A quick pasta meal without the guilt! Add 150ml of cold water and stir well until fully dissolved. Microwave on high (800W) for 1 minute and 30 secs, stir, and microwave on high (800W) for a further 1 minute and 30 secs. Leave to stand for 1 minute. Season to taste and enjoy! Protein blend (pea protein, textured soy protein) ; pasta (durum wheat semolina) (gluten) ; vegetable fat preparation (refined soybean oil and sunflower oil ; maltodextrin ; milk protein ; emulsifier : soy lecithin ; antioxidants : ascorbyle palmitate, alpha tocopherols) ; flavours (milk, mustard) ; inulin ;buttermilk powder ; acidity correcting agents : potassium chloride, potassium citrate, magnesium oxide ; thickeners : modified corn starch, guar gum ; vitamins and minerals mix (dicalcium phosphate, sodium fluoride, ascorbic acid (vit. C), ferric pyrophosphate, DL-alpha-tocopheryl acetate (vit. E), nicotinamide (vit. B3), zinc oxide, retinyl acetate (vit. A), cupric gluconate, D-pantothenate calcium (vit. B5), manganese sulfate, D-biotin (vit. B8), sodium selenite, pyridoxine hydrochloride (vit. B6), phytomenadione (vit. K1), cholecalciferol (vit. D3), potassium iodide, riboflavin (vit. B2), thiamine hydrochloride (vit. B1), cyanocobalamin (vit. B12), pteroylmonoglutamic acid (vit. 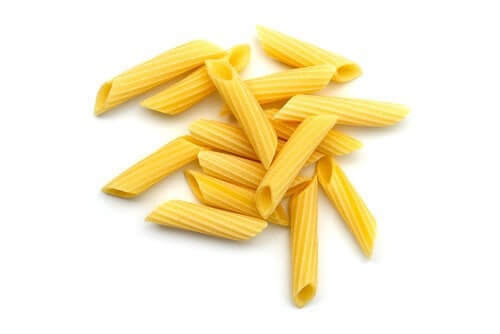 B9), chromium chloride) ; onion powder ; maltodextrin ; stabilisers : tricalcium phosphate, magnesium phosphate ; garlic powder ; salt ; spice ; parsley ; antioxidant : tocopherols ; color : beta-carotene. 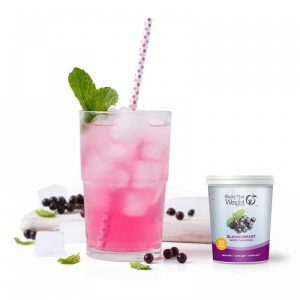 20 Servings of 500ml – Add a bit of zing to your drinks with our beautiful blackcurrant water flavouring. Allergens: Soy. Manufactured on equipment that processes: Celery, Egg, Gluten, Milk, Sulfites. Allergens: Egg, Gluten, Milk, Soy. Manufactured on equipment that processes: Celery, Sulfites. 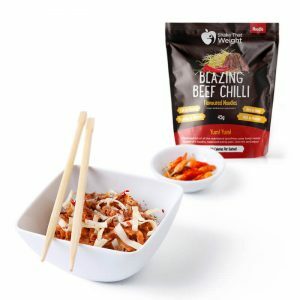 Give your meals a kick with the Blazing Beef Chilli noodles! Allergens: Egg, Gluten, Milk, Soy, Wheat. Manufactured on equipment that processes: Celery, Sulfites.